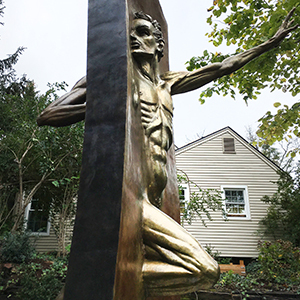 Our firm has commissioned a colossal bronze sculpture called The Other Side of Eden which represents our understanding of what our clients so often experience. 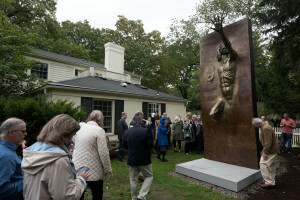 At its most basic, the sculpture is an image of a man leaping through a wall. On the dark side, before he enters the wall, he is suffering turmoil, disappointment, pain, and frustration. On the bright side, as he is exiting, he conveys joy, triumph, hope, and optimism. 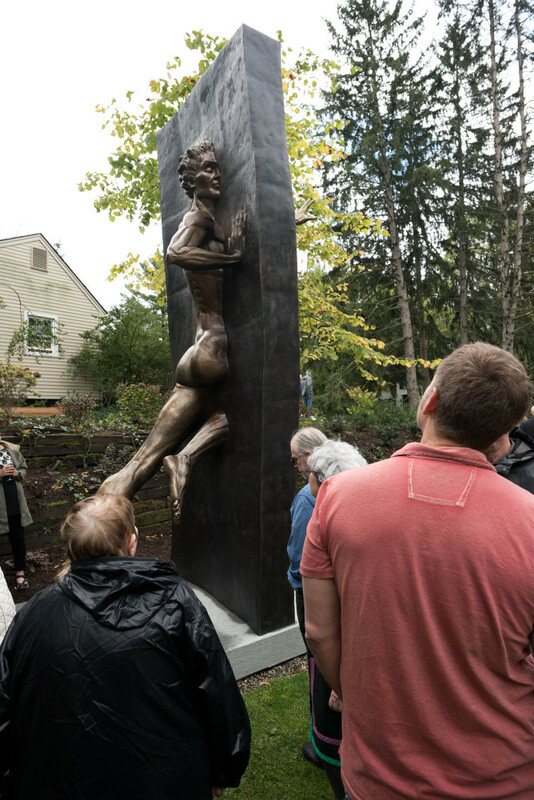 At Blaske & Blaske, we are inspired by this sculpture as a symbol of what it’s like for any of us to work through an apparently impossible situation. The first step is to be brave enough to leap at the wall with faith that you can get through it. 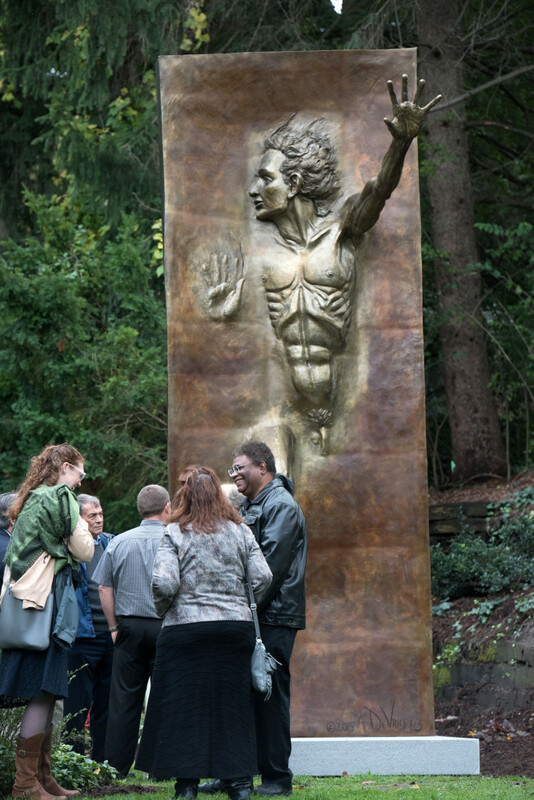 The Other Side of Eden is the experience we believe our clients can and should have as they litigate. When you are considering whether to take legal action in response to death or disability or disappointment, you must believe that some form of healing is possible. The relief and joy and optimism you may feel on the other side of the wall may be achieved with money, but it’s also deeply personal. By pushing through the barriers, you emerge in a better place. You can get through this. We’ll get you through this. 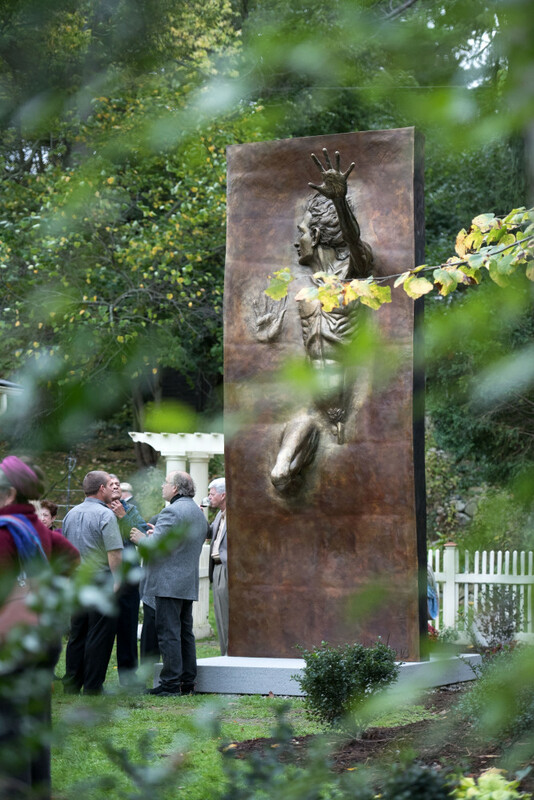 Why did we commission a work of sculpture to represent our philosophy as a law firm? Because we are firm believers that life matters more than lawsuits. That artists are worth supporting. And that art dissolves the illusion that you are separate from your soul, and that your soul is separate from any other matter that matters. 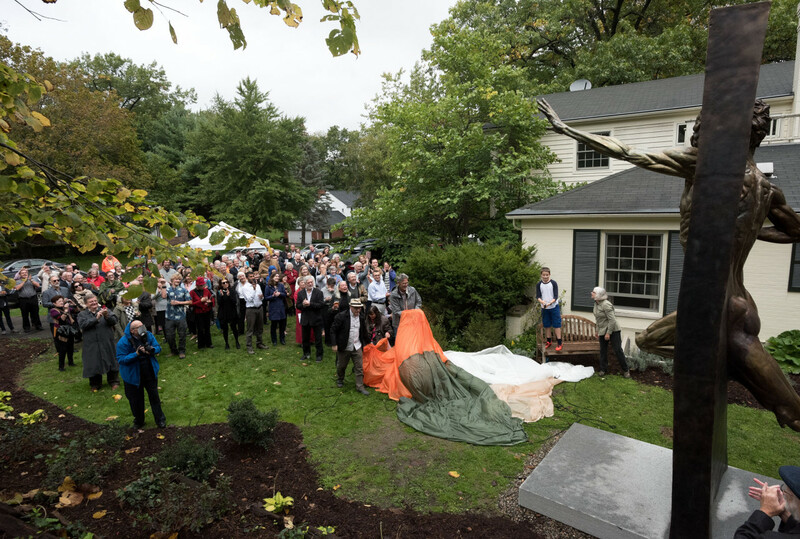 The Other Side of Eden, a fifteen-foot bronze sculpture by Andrew DeVries, was installed at the home of Tom Blaske and his wife, Mary Steffek Blaske, on October 15, 2017. 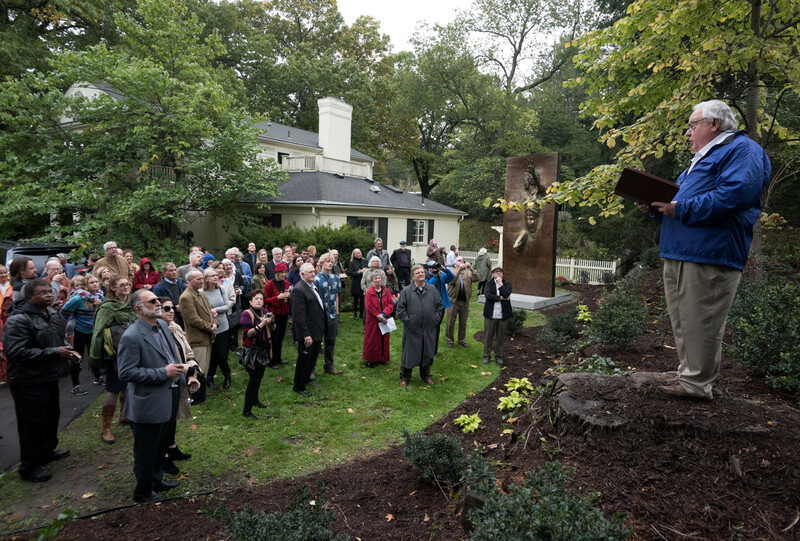 This poem was written in honor of the occasion. 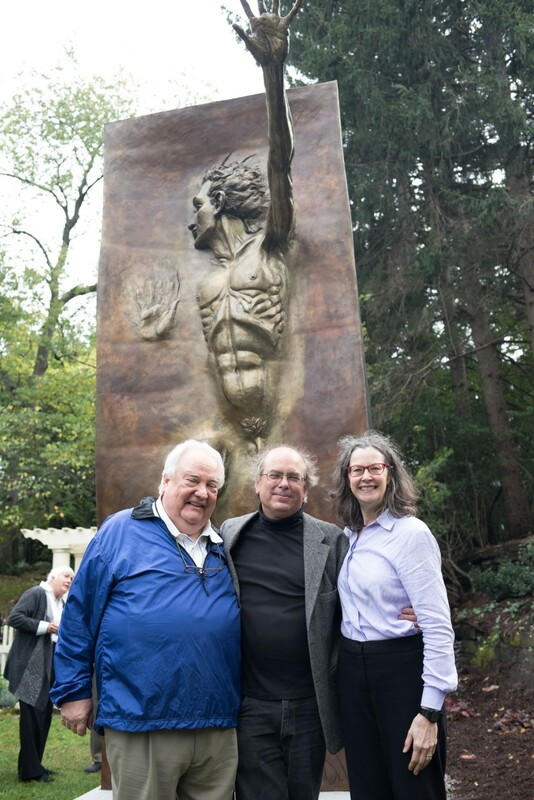 The sculptor and the Blaskes talk about the vision for the work in an article in the Ann Arbor Observer.